To all avid readers, to all minds interested in exploring arts and culture, and to all hearts that love to appreciate achievements of others, a treat awaits you. 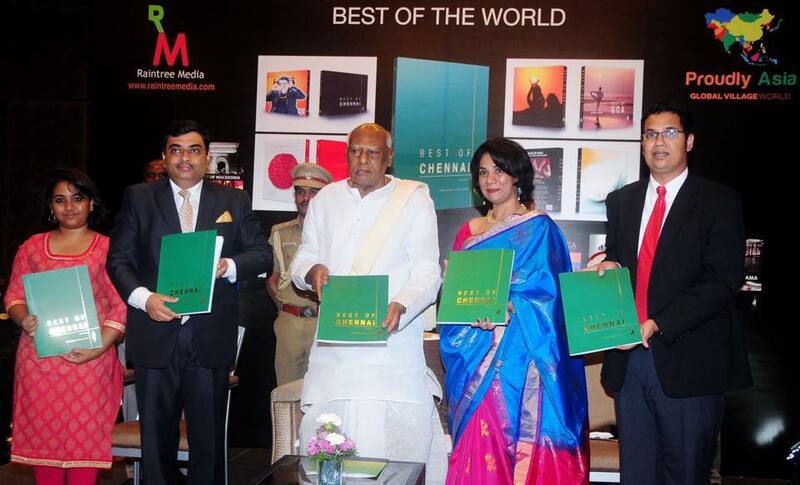 A must-read book titled ‘Best of Chennai – Volume 2’ paints a picture of the culture, architecture and commerce of Tamil Nadu, especially Chennai, in a clear and enjoyable manner. Ms. Sandhya Mendonca, Editor-in-Chief and her entire team has carefully constructed this book to throw light on achievements of several talented people, and celebrates the soulful cultural fabric of the city as much as its economic dynamism. With words of high praise, Governor of Tamil Nadu, Dr. K Rosaiah, released this book at the ITC Grand Chola in Chennai on July 7, 2016 (Read the full text of Dr. Rosaiah’s speech here). A part of the book, Best of Chennai Volume 2, elucidates the 2015 flood and the support of people that followed the disaster. To most of us in Tamil Nadu, especially those in Chennai and surrounding towns, mentioning of year 2015 shackles our minds to this dreadful memory, the destructive inundation that made a heist of happiness in various parts of Tamil Nadu. It was the sheer power and determination of people who came forward to support the affected, which brought many lives out of abyss. Flood relief activities and recovery would have been near to impossible, but for the help from fishermen, students of schools and colleges, and volunteers of various NGOs. The book recognizes the work of dedicated volunteers of Bhumi who provided solace to a plethora of lives, in a section titled Heroes of ‘Chennai’; Quoting the book, “We salute the spirit of the city of Chennai and its countless denizens who braved several odds to help others in the time of the unprecedented floods during November – December 2015” (Click here to read the complete section). Bhumi had set up a relief centre to collect aid pouring in from our chapters in Delhi, Bengaluru and Mumbai. Providing timely aid to the affected people is a proud achievement for our volunteers. Our volunteers helped in ensuring that relief material reached to communities in Chennai, Chidambaram, Kanchipuram, Panruti, Puducherry, Tindivanam, Tiruvallur and Virudhachalam. On behalf of all people who contributed to the relief work in the form of material and manpower, Bhumi thanks the Editor and her team for identifying and appreciating the selfless work of such people in this one of a kind book. Also, Bhumi would like to convey heart felt appreciations to all such good hearted people for the unity and support provided during hard times.